Whether you live in New York City or going for a visit, there are so many places to eat you’d never get to them all. 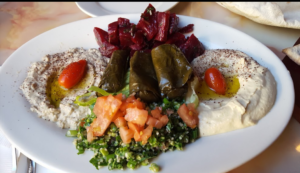 NYC is a food lovers paradise but sometimes it’s easy to eat at your favorite restaurant or familiar places you’ve been. However, there are so many options, don’t miss out on all these amazing places to eat and foods to try! 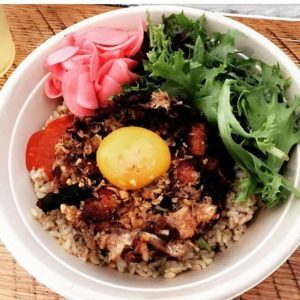 These are the top NYC foods to try! Breakfast is the most important part of the day. If you’re in NYC you need to try an authentic bagel. 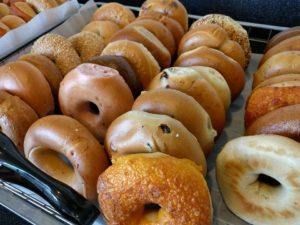 We’re not sure what makes these bagels so good but it’s hard to find a bad bagel anywhere in the state. Absolute Bagels is known for their breakfast sandwiches. A soft chewy bagel loaded with runny egg, crispy bacon and lots of cheese. These bagels are made by hand with love and you definitely taste it. 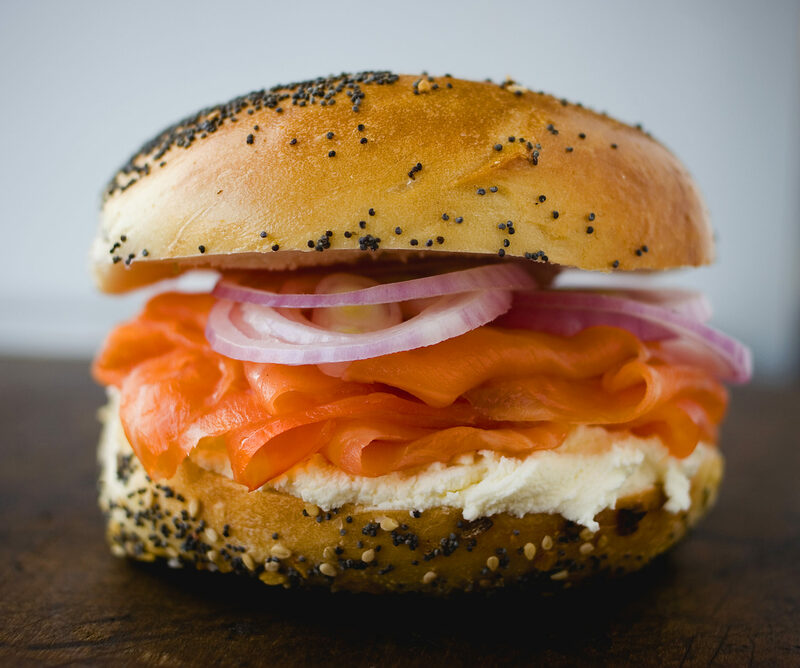 If you’re not into all the heaviness of a breakfast sandwich, you might want to try Russ and Daughters for their famous lox sandwiches. They’ve been around for 100 years and there’s still a line in the mornings. Make sure you get their early! You can’t be in NYC and not grab a slice of pizza! There’s usually a pizza place on every corner, but a bad slice of pizza an ruin your whole day. You might have to take a subway or a cab just to find the best slice of pizza in the city. Don’t worry though, we have a few recommendations. Di Fara Pizza is located in Brooklyn. You’ve never been to Italy, this is a good place to stop to get the one of the best slices in NYC with a taste of true Italian ingredients. Domenico De Marco opened the restaurant after emigrating to Brooklyn from the Province of Caserta in Italy. He still gets many of his ingredients from his homeland. If you’re looking for GREAT pizza, check this place out. 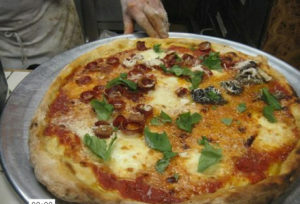 Kesté Pizza offers freshly made pizza by Roberto Caporuscio in his wood burning oven. It’s the real deal and for a great price. If you’re looking for something more nostalgic, a slice of pizza that takes you back to your childhood. A floppy bottom with lots of sauce and cheesy goodness, check out Joe’s pizza on Carmine Street. It’s across the street from Keste so we would suggest you set up a pizza tour for the day and just go to town! An all American meal is a burger and French fries. If you’re in the city, there’s a few staples you need to try. 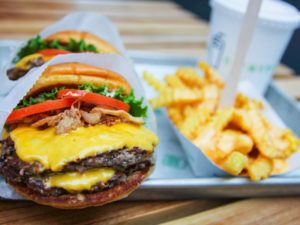 A shake shack burger might not be the fanciest of all the burgers, but it’s top quality meat cooked to perfection. Super juicy and packed with flavor. It’s definitely a NYC pit stop. The Chargrilled Burger at the Spotted Pig is a highly rated place. This burger is perfect charred and set on a charred burger bun that makes it all fit perfectly together. It’s served on a plate with piled high shoe string French fries. A bit of a dolled up version of an American classic. Smorgasburg is an outdoor food market in Brooklyn. It brings in 20-30k people into Brooklyn to eat amazingly different kinds of food every weekend. 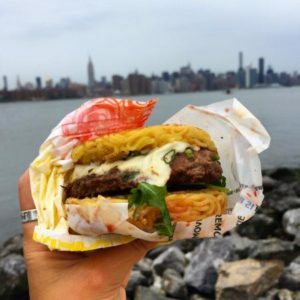 Although they have a lot to offer, the ramen burger is a solid choice. It’s the most creative burger we have on our list and well worth the wait (there will be a wait). If you want to grab a taco and beer in New York City there is so much to choose from. Many restaurants offer really great tacos on their menu, and you can get something just as delish from a grab and go type place. We’ve got the run down below. A favorite for many East and West villagers as they have locations at both ends of the city now. Otto’s Tacos make their corn tortillas right in from of you and jam pack them full with fillings. 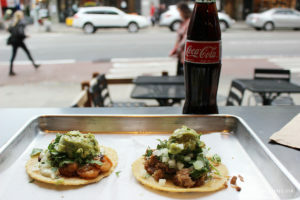 Located at the Chelsea market, this taco stand is very popular place during lunch time. They have a variety to choose from include grilled pork, chicken, and even cactus. Their ingredients are fresh and very traditional. The Duck Carnitas Taco. This isn’t your ordinary taco. To start, it’s an $89.00 splurge. Yep, that’s right. But if you’re looking to really treat yourself to an NYC dinner, you’ll want to try this. The chef takes four days to prepare the birds for this meal. It’s been cooked in evaporated and condensed milks as well as Mexican coke. Diners get to then prepare the tacos themselves with homemade tortillas. You get an explosion of flavor and warm comfort as you enjoy. You may think to try different cultures of food you need to go to a fancy restaurant and pay big money. That’s not the case. We’ve got some of the must try places to eat that will give you cultural satisfaction and go easy on your wallet. A middle eastern spot in Brooklyn offers a variety of different kinds of subs for $10 or less. Falafal and hummus is a standard sandwich that really shows off their skills. But if you really want to try something exotic, try out their lamb pizza. A large pita topped with minced lamb, onions, tomato, and herbs. A Filipino food shack in the west villiage. This place offers an array of cheap snacks from rice bowl and spring rolls. One of their snacks is just $4 per bag , Sinigang Garlic chips. Lechon Kawali Fries. Basically pork belly fries with an herb salad and suka. It’s on the menu for $8.50. You can’t beat that. Chill spot with communal tables offers wine & beer on tap. 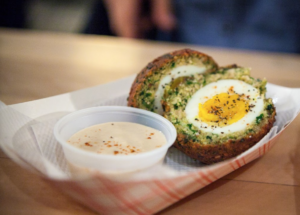 Israeli Scotch Eggs starters are only $5 bucks. They also offer a Cauliflower Pita for 8 bucks and the Avocado on 7 grain toast is for the same price. Solid meal choices for a low cost. This place is a real gem, and one of our favorite places on our list. Little Miss Muffin ‘N’ Her Stuffin is a bakery in Brooklyn. If you’re thinking you’re only going to get muffins and croissants at this place, well you might be right but there’s SO much more. 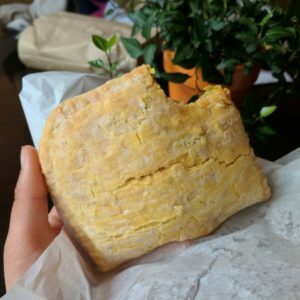 They offer a varity of sweet treats and breakfast favorites, but the menu item that brings in the most curiosity….is the Jamaican patties. Curried chicken, jerk chicken, honey BBQ, spicy beef, they have it all. If you’re a vegetarian don’t worry they have a patty for you too! And at only $2.50 a pop you’ll be able to try more then just one. Although this list doesn’t even scratch the surface, it’s a really good guide to navigate some of the NYC favorites. Try something new and be sure to take a photo to upload to our app, rate the restaurant and share with your friends so they can try it too! No Replies to "Top NYC Foods To Try"